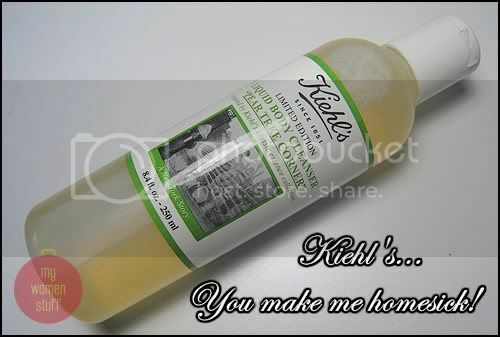 Home » Bath & Body » Kiehl’s Limited Edition Pear Tree Corner Shower Gel makes me homesick! Kiehl’s Limited Edition Pear Tree Corner Shower Gel makes me homesick! Kiehl’s started out in 1851 and they never allow us to forget that – it forms a part of their name except most of us are lazy and just call them Kiehl’s. They started at Pear Tree Corner in New York so when they wanted to commemorate this, they came up with a Pear Tree Corner Deluxe Set. I only have the shower gel which was a gift. I believe this may be an old collection. The reason for my homesickness is that I come from a little town in Malaysia where I used to indulge in a roadside drink known as “Pear Juice”. I have no idea what it was made of but I was always told it was pears – it certainly smells like pears. I have not found this in the big city of Kuala Lumpur where I now live but whenever I smell the Pear Tree Corner shower gel, it makes me think of home and that ice cold pear juice drink of my youth! PREVIOUS POST: Rent a Designer bag – will you do it? I will have to try this! Personally, I like grapefruit, call me weird! Not weird! I love the smell of grapefruit too! Oh if you like pear scents you MUST try this! LOL at tiger balm – thats a very distinctive smell! I received mine in November last year – and you’re right, Miss B – the smell is DIVINE!! I only wish that it was more foamy, then my bathing ritual would’ve been even more decadent! I have the scrub! Smells so good I can’t help sniffing it once in awhile. Have yet to try it though.